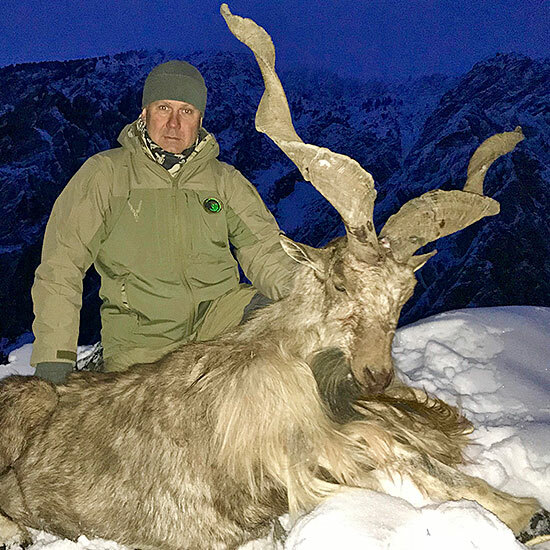 This time Eduard Benderskiy went to Pakistan for one of the most exciting adventure and beautiful trophy – Kashmir Markhor. It was a tough time at the auction, 8 bidders struggled for 4 permits. But finally we have won the permit for our hunter and Eduard harvested excellent trophy of Kasmir Markhor. This season is coming to an end but we invite you to join us in Pakistan for the Fall season 2019!